Although there are several standalone forum solutions available for web publishers, a simple, lightweight and stable forum extension that seamlessly integrates with WordPress is always preferable if you're using the same CMS for powering your business website. One such popular solution is bbPress forum extension that simply works out-of-the-box. You can either add a simple or a full-fledged forum to your WordPress site through this robust solution. But, every standard forum's needs are different from the other. And that's where a collection of flexible bbPress plugins comes into play. Following are some of the select bbPress plugins that can help you make your forum look more professional and appealing to the users. So let's check out each of these plugins and see how they can enhance our bbPress forum in a few easy steps. User Switching - This plugin is ideal for bbPress forum administrators running a multi-tier user level and customized installation with restrictive forum sections for different level of users. With a single click, administrators can switch to different accounts to see how the forum appears to the respective account. This helps in rectifying the problems while building, customizing and moderating the forum. It is completely secure and doesn't affect the login credentials of an account during the switching process. This extremely useful plugin works seamlessly over SSL too. bbPress Pencil Unread - This useful extension enables the logged in user to easily detect which posts and threads are already read by him. It also adds handy classes to the posts to easily customize the appearance of the discussion forum. This plugin is best suited for busy forms with large numbers of active users who post frequently within different forums. It's also good for forum moderators and administrators. Before trying it on a live forum, once test it on a dummy installation to make sure everything is working as expected. Eyes Only: User Access Shortcode - If you're running a bbPress forum with multiple levels of users with different sub-forums for specific segments, then this plugin is made just for you. 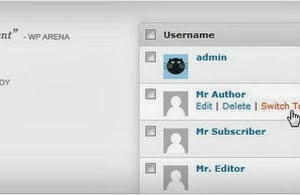 Through it, you can easily create custom shortcodes to restrict the select content of the forum to a group of users. The filtering options are quite flexible facilitating restriction on the basis of different conditions. Administrators can use this plugin to create a full-fledged bbPress forum with restricted areas for the select audience. Custom shortcodes can be created through a point and click interface. bbPress Auto Subscribe - This plugin can be a lifesaver if your forum members wants to keep themselves updated with the replies and responses on their updates. Once activated and configured, this plugin helps each forum user automatically get subscribed to every new thread created by them. This ensures they get email notifications of all the responses posted on their discussion thread. The plugin itself is simple to use and doesn't require complex setup. Each participant in the thread also gets automatically subscribed to the updates to actively get notifications of the same. bbPress New Topics - This plugin is ideal for forums having a team of moderators and administrators. It's a lightweight yet very effective extension that marks the newly posted content unread since the administrator or moderator logged in last time. This greatly helps in quickly scanning the new discussion threads to facilitate fast moderation. bbPress forums experiencing high user activity can benefit from this plugin by easing the task of pinning the fresh content. This results in a happier community since they're bound to get faster responses for their new forum updates. Buddy-bbPress Support Topic - This plugin is specifically made for forum administrators. It can be used to define a specific admin user will accept forum support requests or not. Accordingly, an administrator will be able to mark a support request topic as resolved or unresolved. Bulk actions for updating support topics are also supported to save the time of administrators. It's a must-have plugin for forums with high-activity of support requests. Both French and English are supported out-of-the-box with this useful plugin.